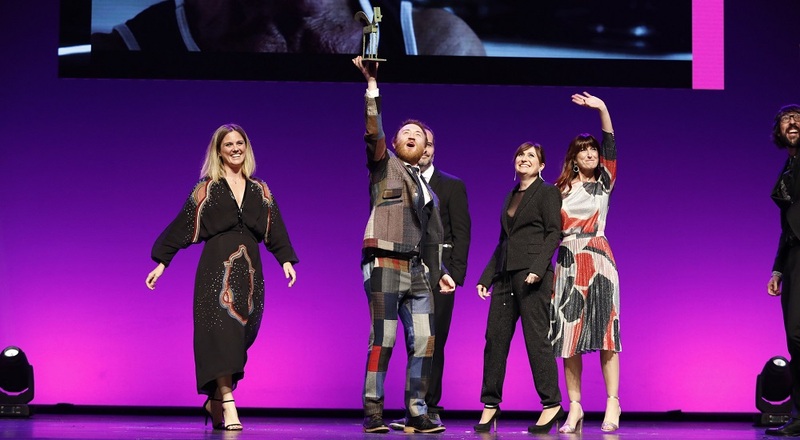 Family picture of the 2018 award winners. 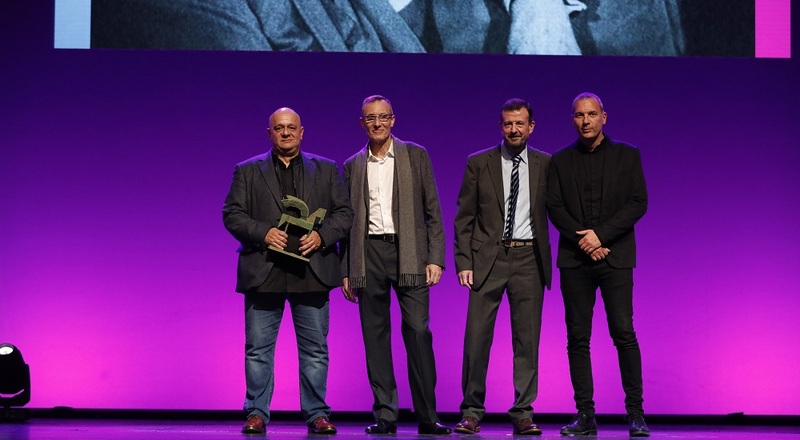 Award winners Isaías Lafuente, Jordi Basté and Julia Otero next to Iñaki Gabilondo. 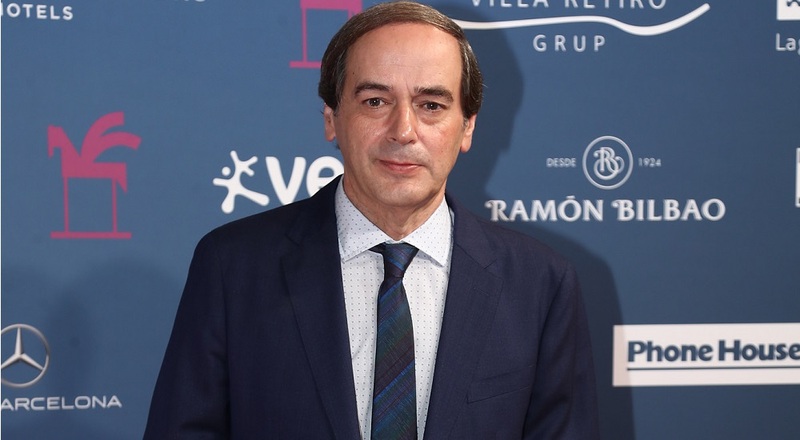 Actor Oriol Pla arriving at the Albéniz Palace. 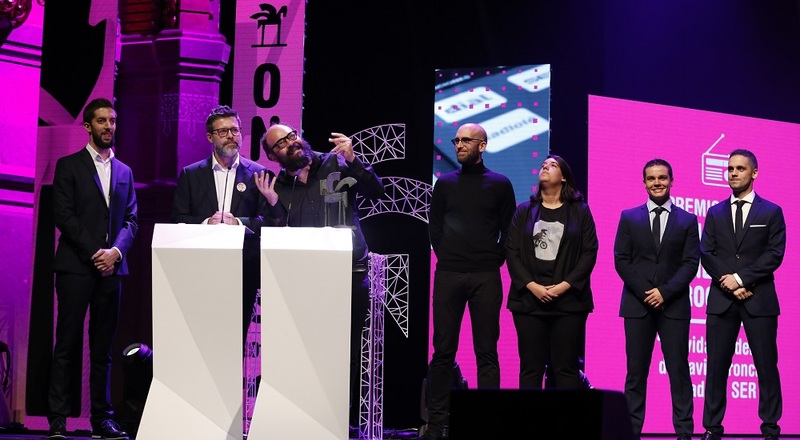 Pingüino, Torreblanca & Partners, S.L., best radio advertising agency. 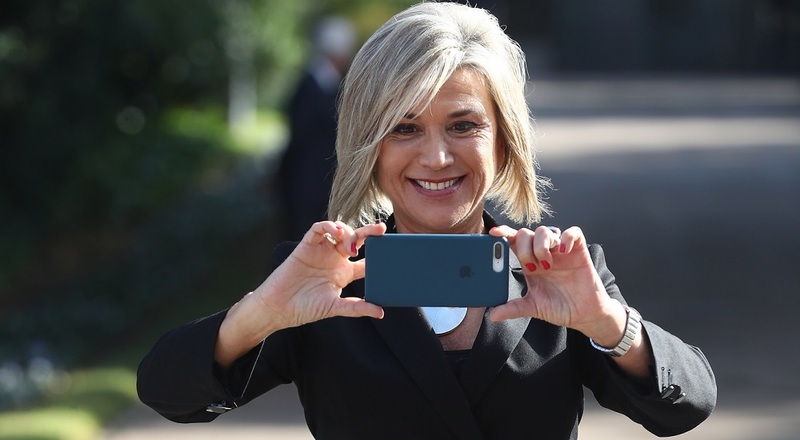 Actress Patricia López Arnaiz posing for photographers. 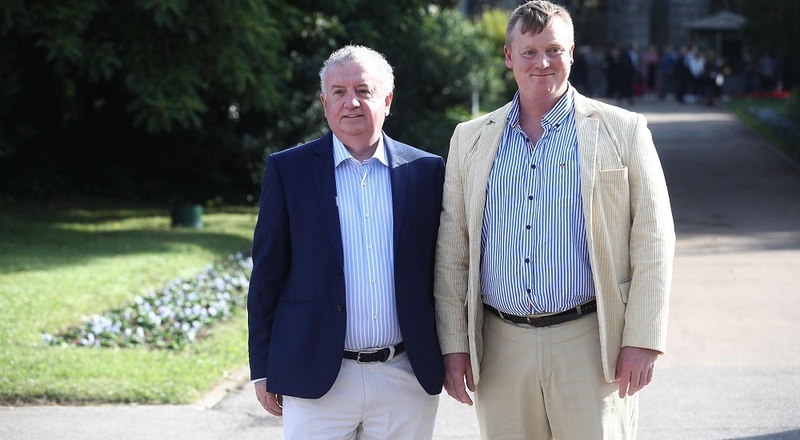 Liam O'Bryan and Conner Keane: Documentary On One: In Shame, Love, In Shame. 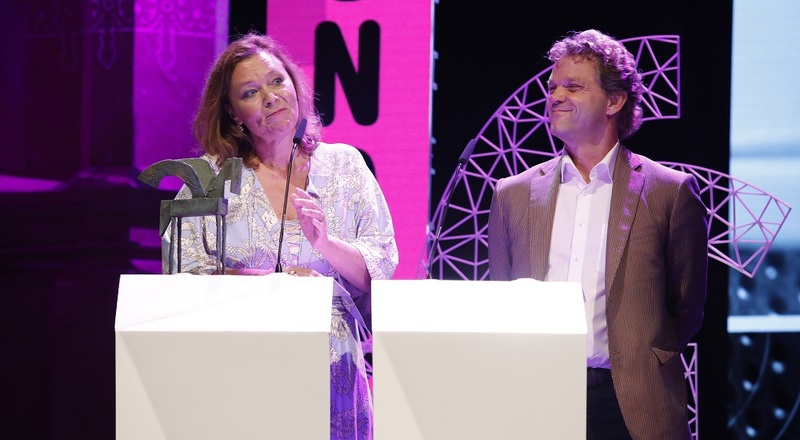 Tinet Rubira, director of Gestmusic Endemol attending the media for the awards won with Operación Triunfo. 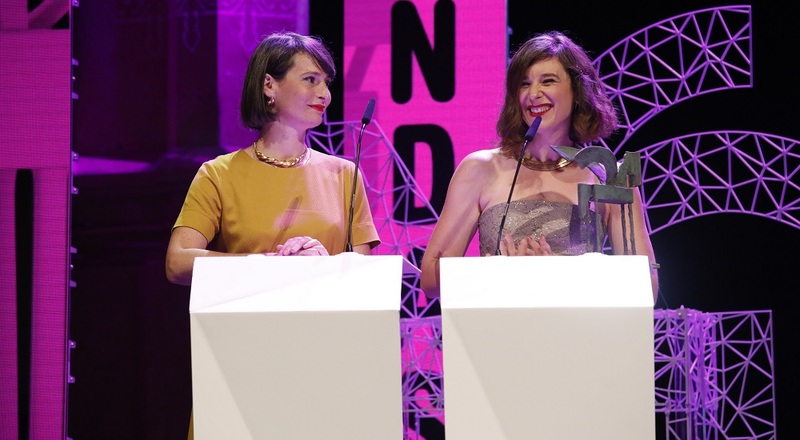 Aura Garrido, best female actor (ex aequo). 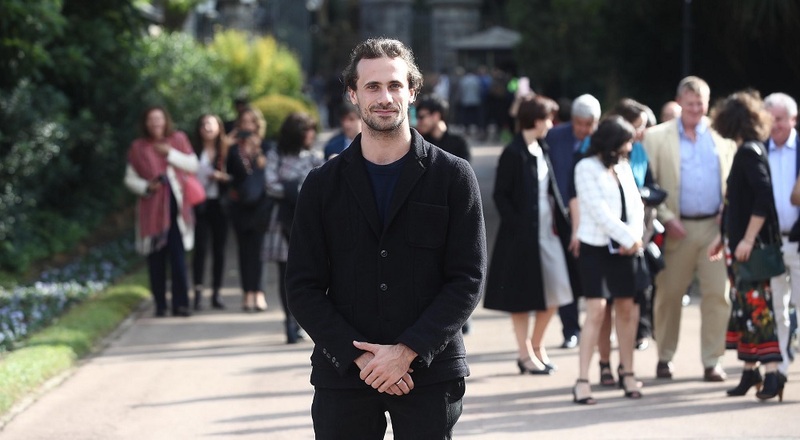 Presenter Jesús Calleja in the gardens of the Albéniz Palace. 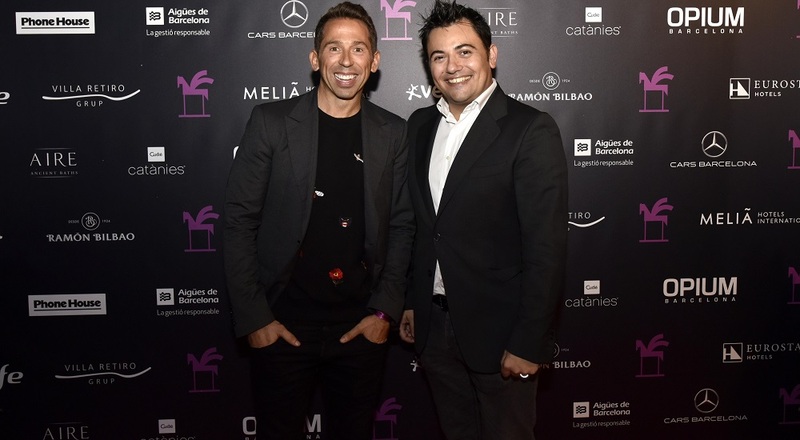 Javier Calvo and Javier Ambrossi. 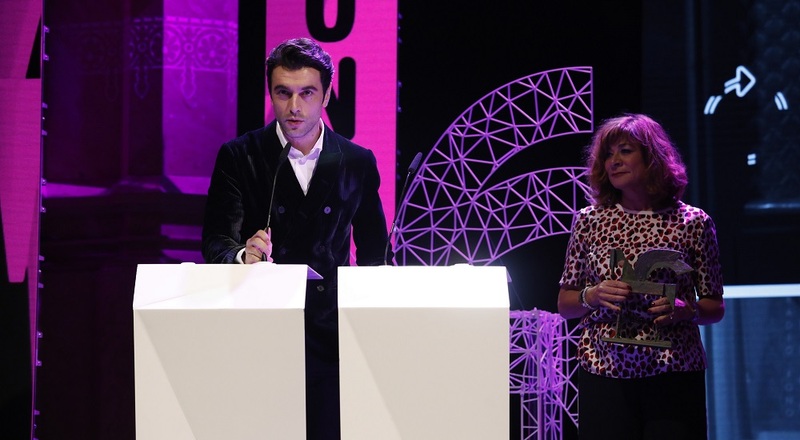 Sandra Sabatés, best female presenter. 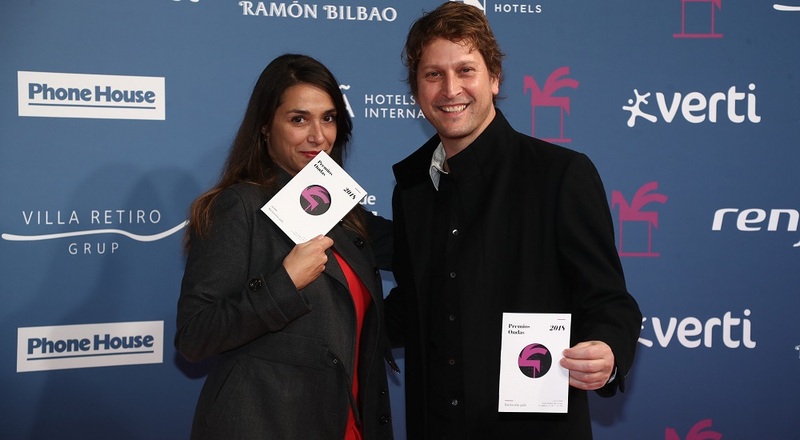 Pablo Romero and Ana Ormaechea, best podcast. 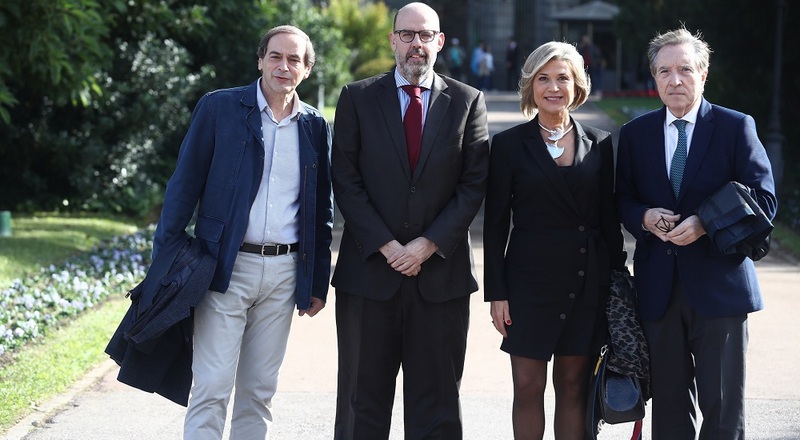 Representatives of Caracol Radio and RCN. 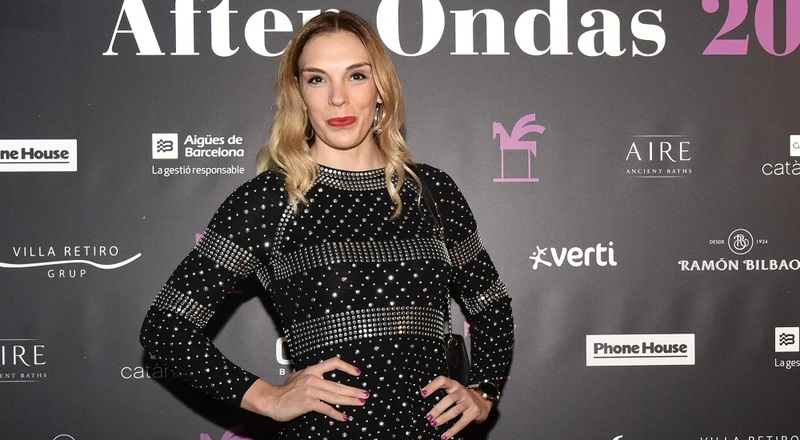 Julia Otero seen here posing for photographers. 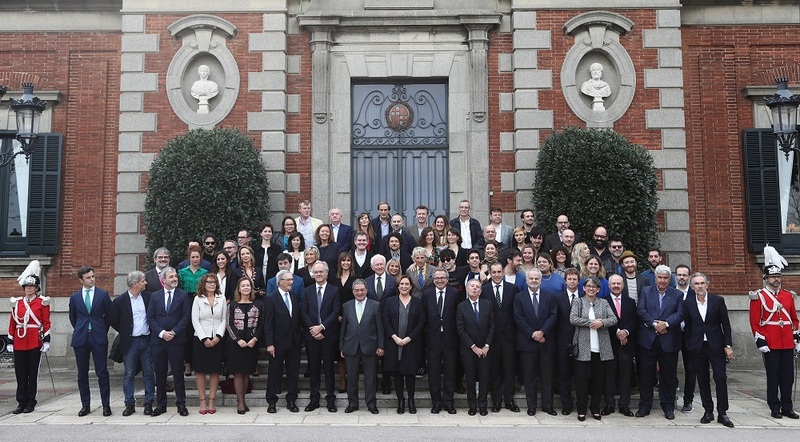 Special mention of the Jury: ¿Qué pasa con los niños?. 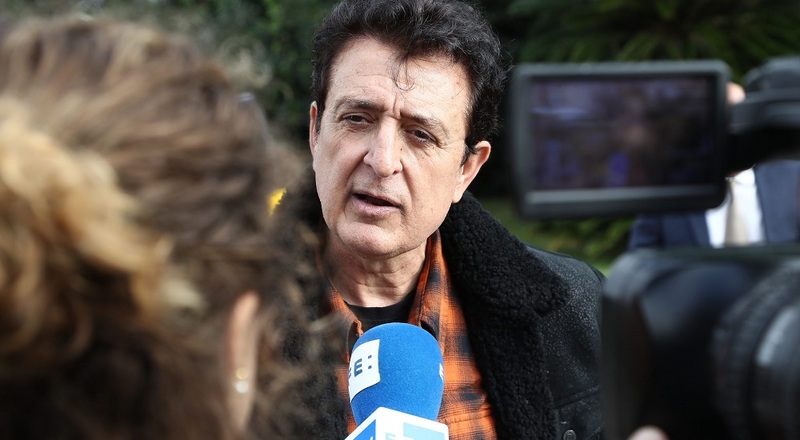 Manolo García, in great demand from the media. 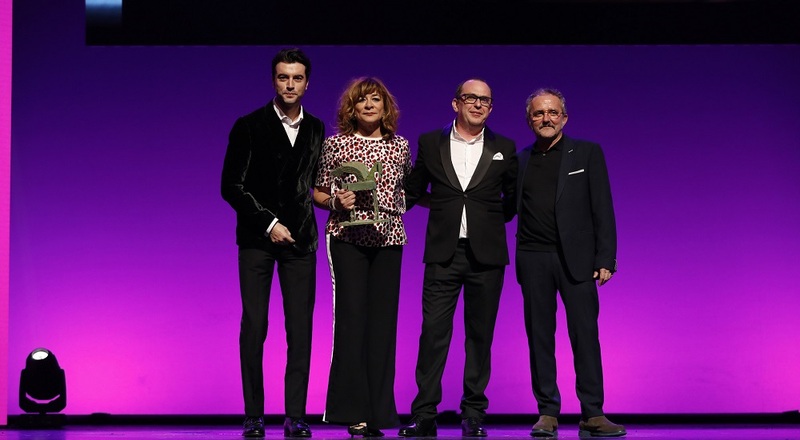 Award winning actress Aura Garrido was in the photographers’ spotlight. 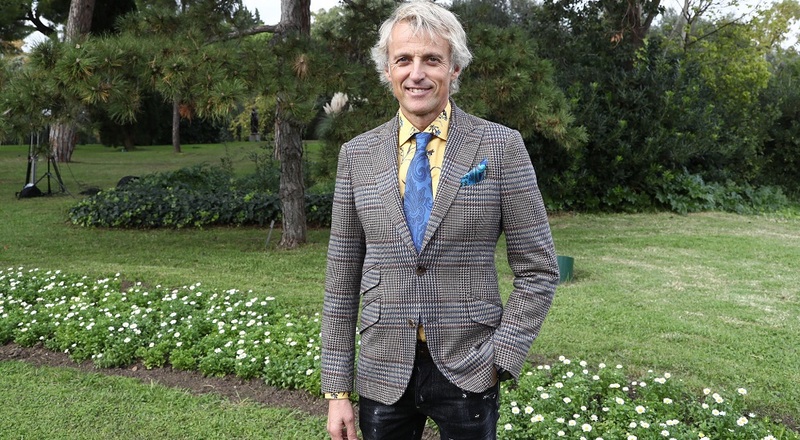 Ignatius, Broncano and Queque, humour and elegance. 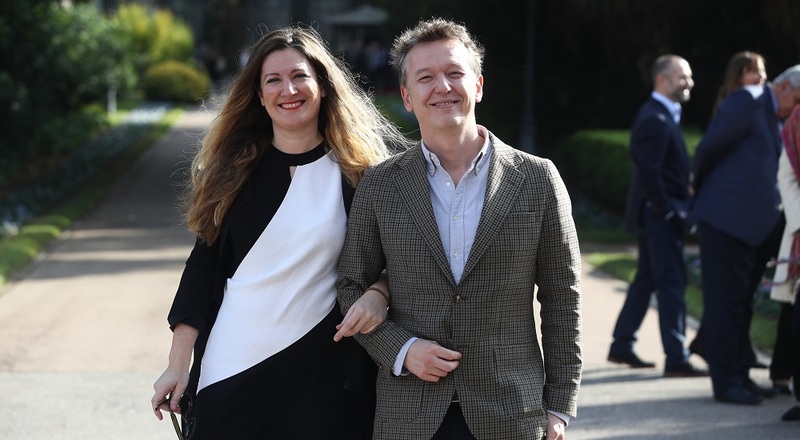 Ekaterina Vidick and Aurélie Boudet giving their best smile to the cameras. 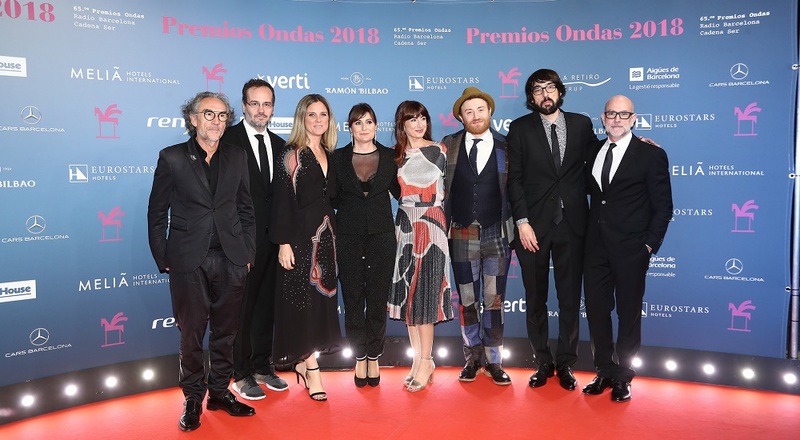 Julia Otero stepping onto the red carpet coming out of a vehicle provided by Cars Barcelona, official sponsor of the Premios Ondas 2018. 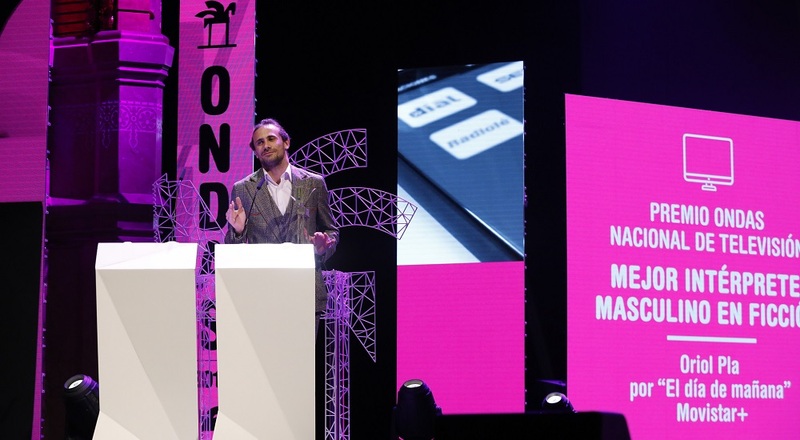 Pablo Romero and Cuonda Podcast, best podcast. 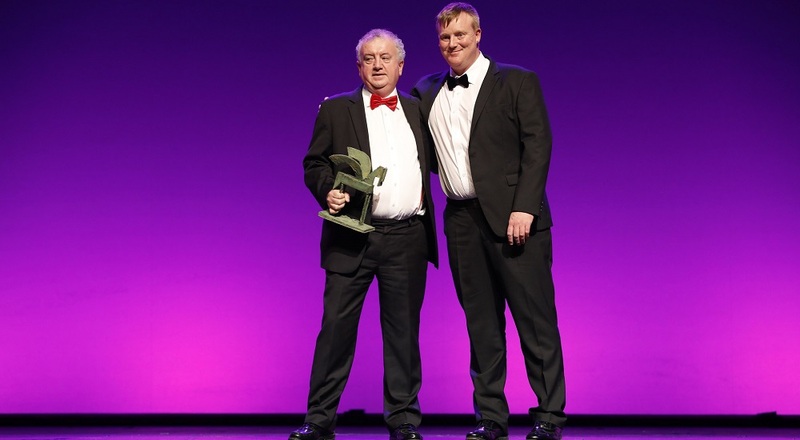 Radio Gaga, best current affairs programme. 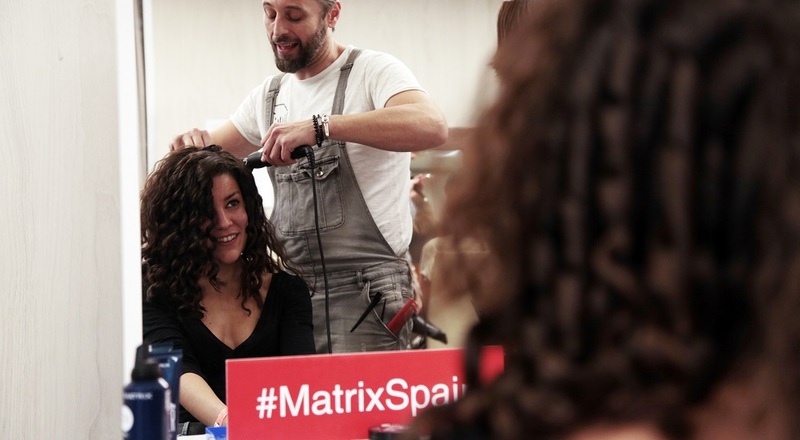 Before the red carpet, our award winners were given the finishing expert touches by Matrix Spain, official hairstylist. 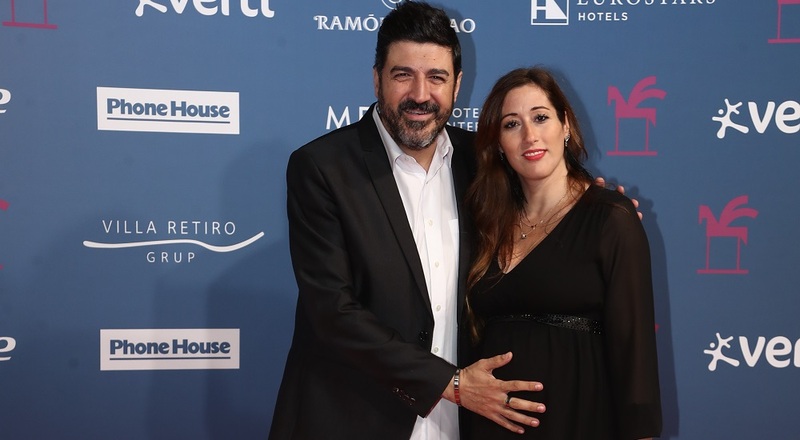 Actress Cristina Brondo also joined guests for the big night in the Gran Teatre del Liceu. 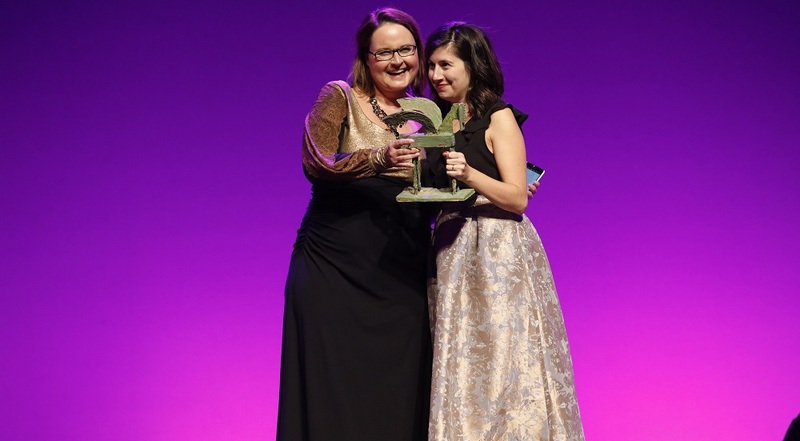 Journalist Julia Otero, radiant award winner. 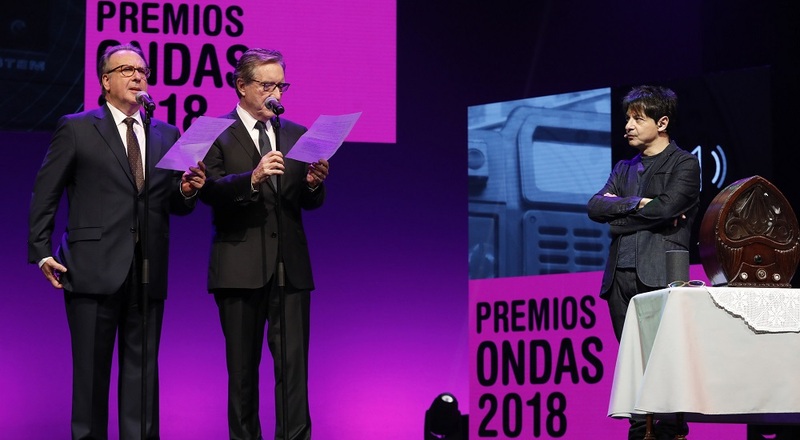 Sandra Sabatés stepping onto the red carpet coming out of a vehicle provided by Cars Barcelona, official sponsor of the Premios Ondas 2018. 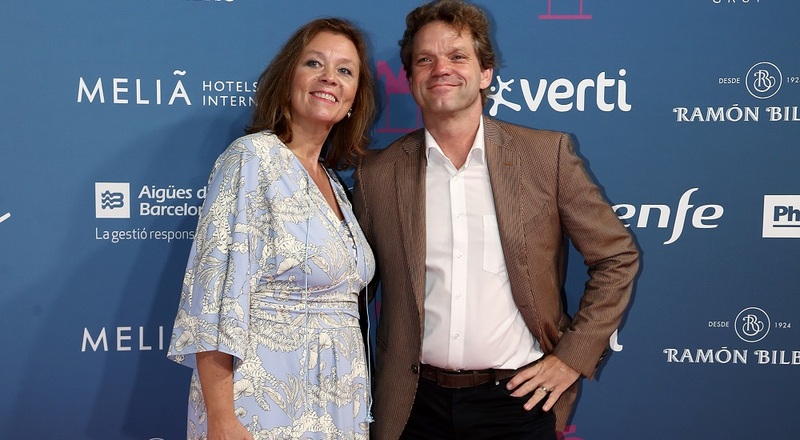 Actress Yolanda Ramos also joined guests for the big night in the Gran Teatre del Liceu. 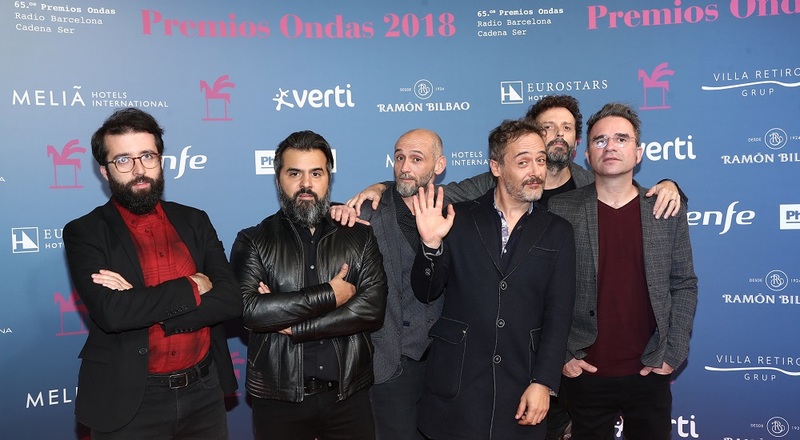 Luis del Olmo, already with a handful of awards to his name and a regular fixture for the night of the Premios Ondas. 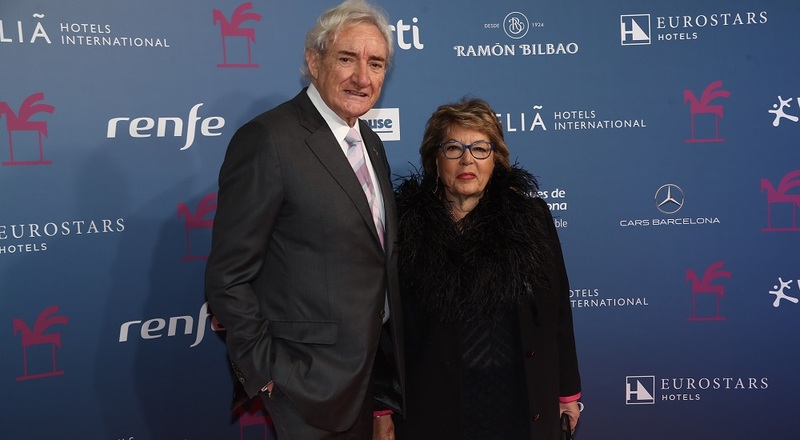 Actress Irene Escolar also joined guests for the big night in the Gran Teatre del Liceu. 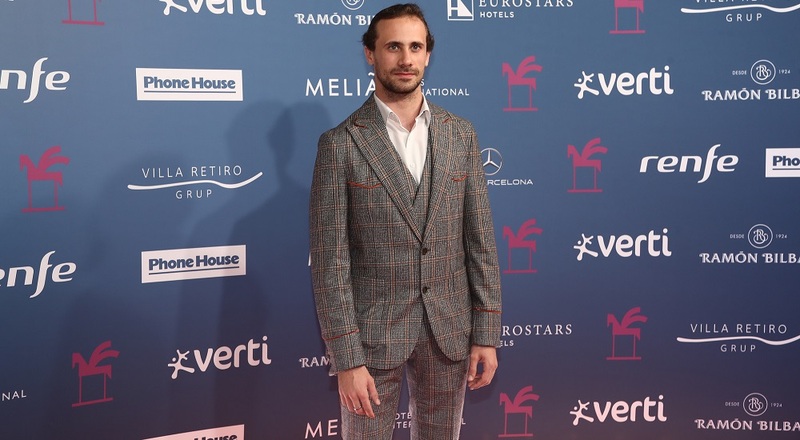 Jesús Calleja stepping onto the red carpet coming out of a vehicle provided by Cars Barcelona, official sponsor of the Premios Ondas 2018. 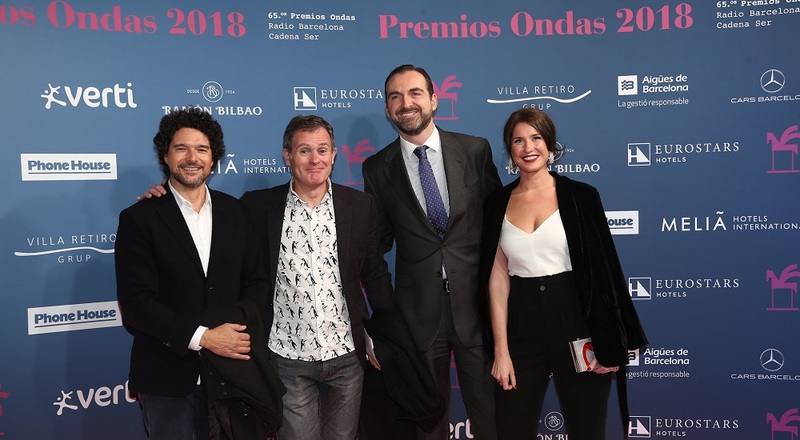 Javier Calvo, Javier Ambrossi, Brays Efe, Mariona Terés and Álex de Lucas. 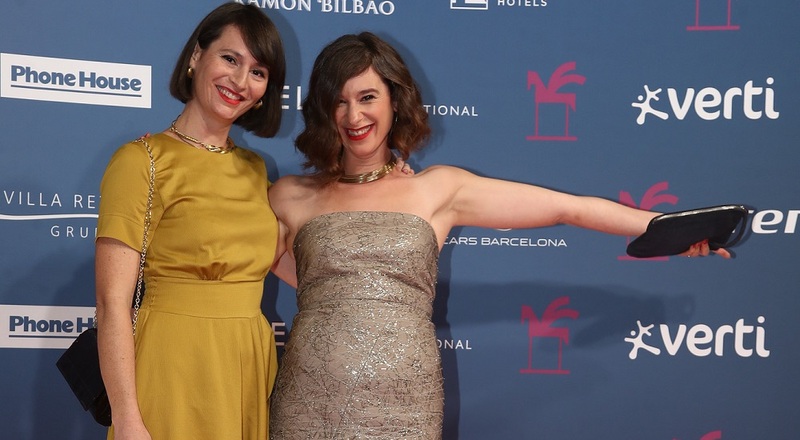 Award-winning Sandra Sabatés stunning on the red carpet. 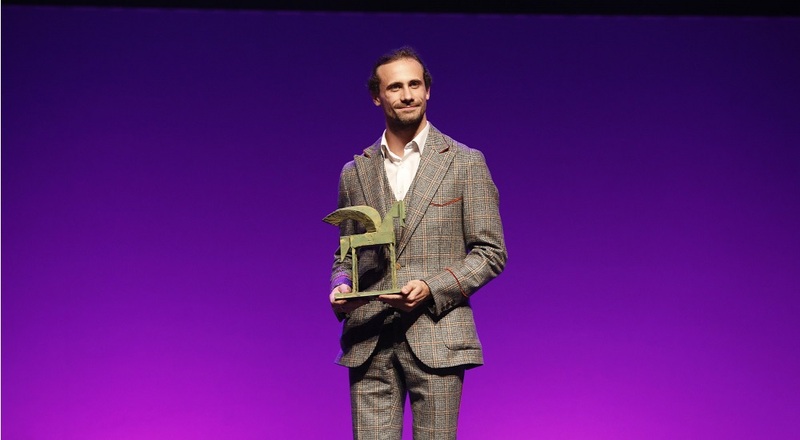 Jesús Calleja, best male presenter. 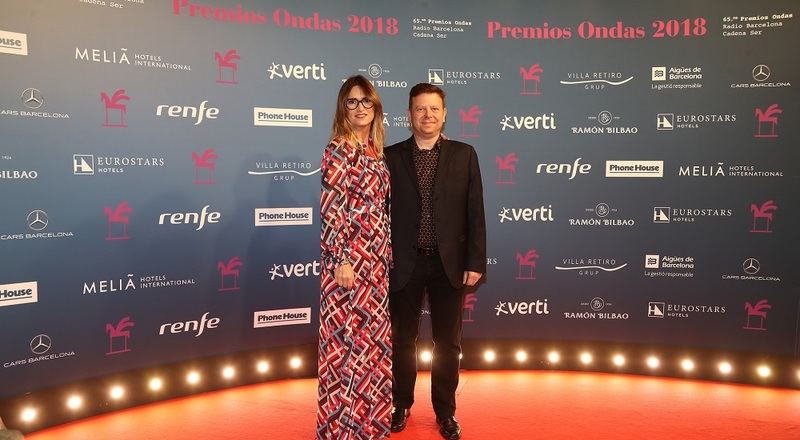 Oriol Pla and Irene Escolar stepping onto the red carpet coming out of a vehicle provided by Cars Barcelona, official sponsor of the Premios Ondas 2018. 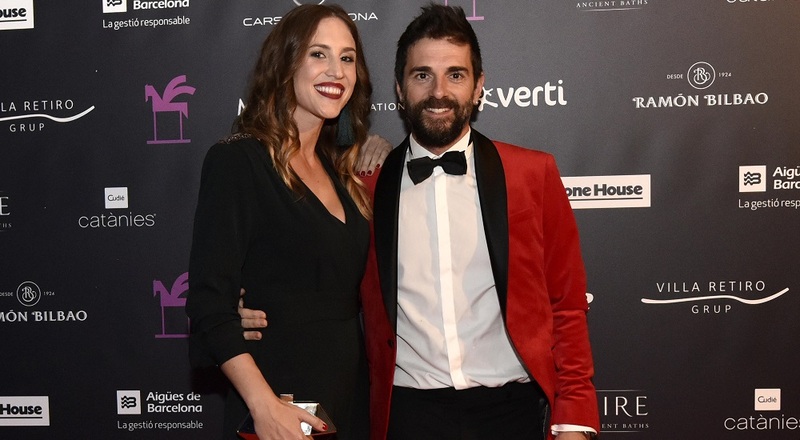 Award-winning actress Patricia López Arnaiz stunning on the red carpet. 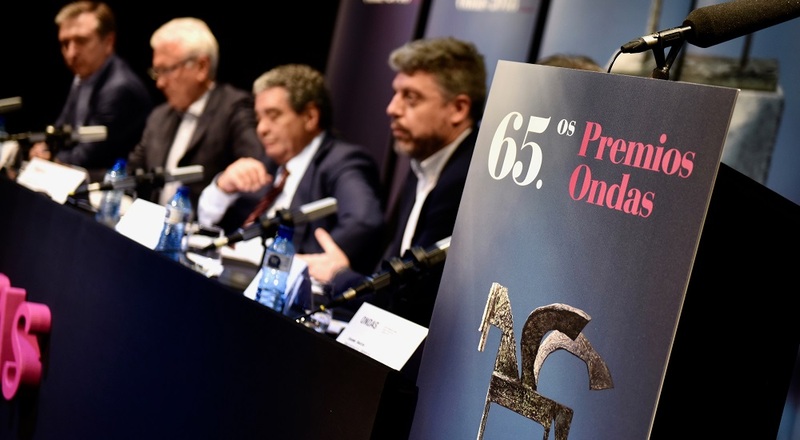 Josep Maria Martí, General Secretary of the Premios Ondas for 27 years together with present General Secretary Jaume Serra. 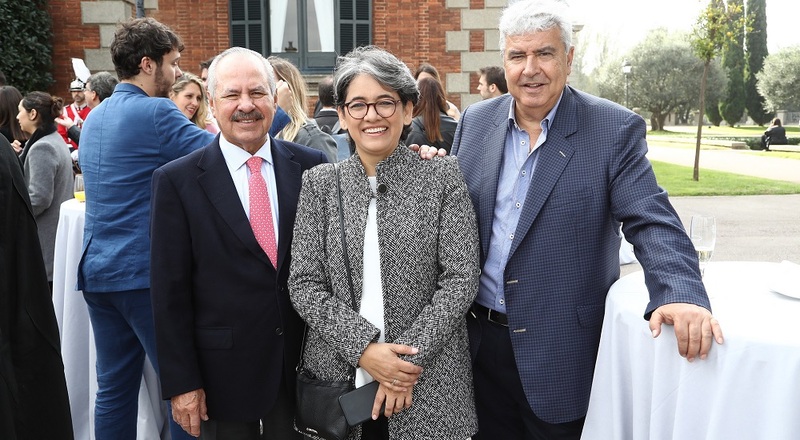 Noemí Galera and Tinet Rubira left the Operación Triunfo Academy shortly before to receive their awards. 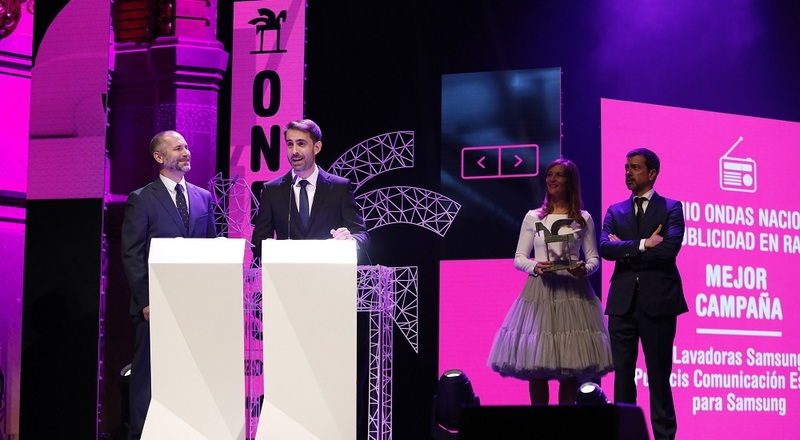 Los40 music show host Tony Aguilar, not one to miss the Premios Ondas gala. 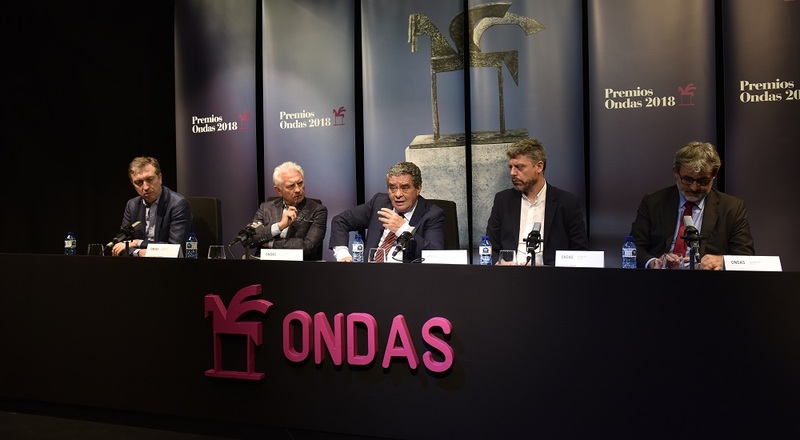 Manolo García Ondas career award. 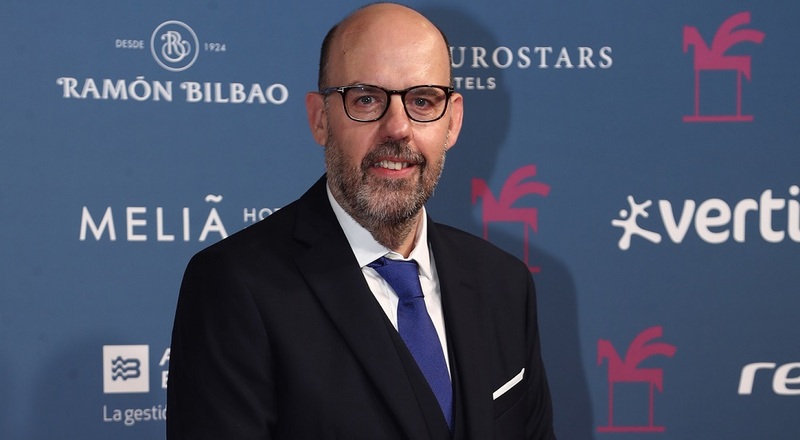 Isaías Lafuente, best special program (Ex aequo). 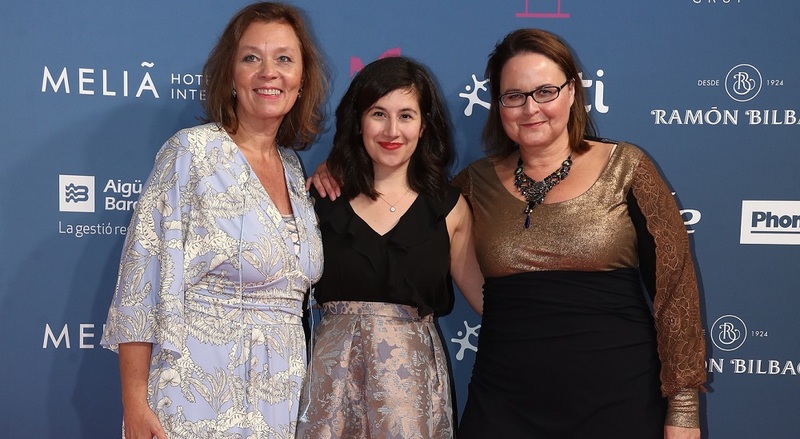 Christa Albrecht, Gülseren Ölcüm and Michaela Herold Ondas international television award. 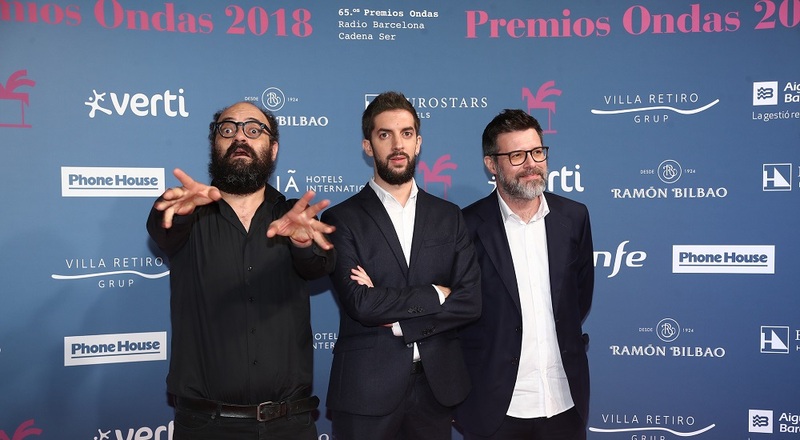 Actor Oriol Pla in an elegant pose for the media. 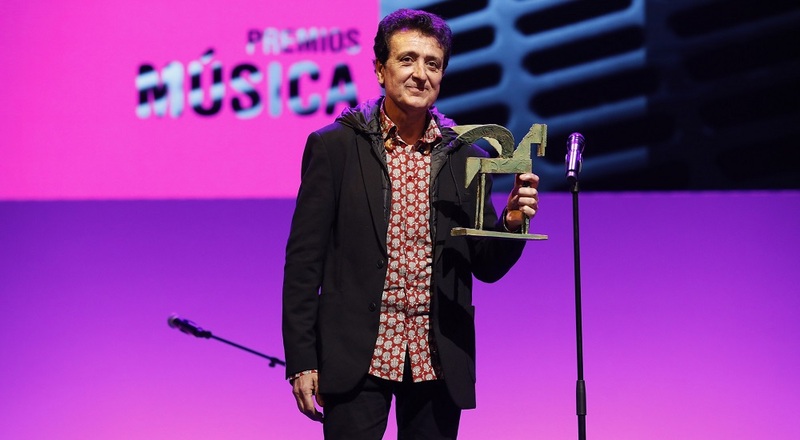 Los40 Classic music show host Bruno Sokolowicz, not one to miss the Premios Ondas gala. 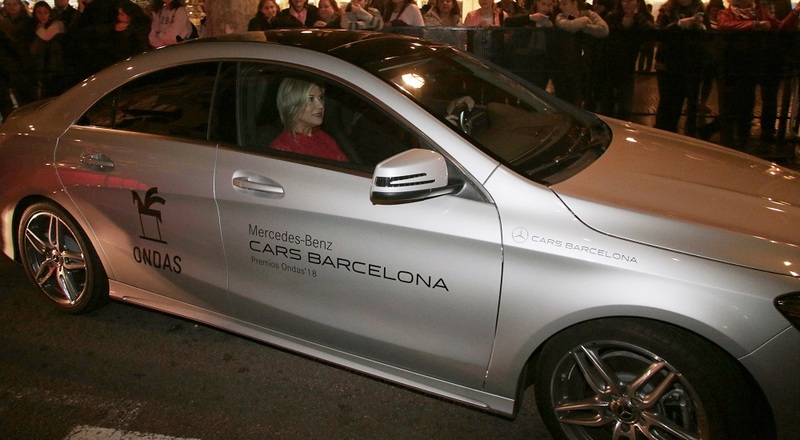 Actress Irene Montalà also joined guests for the big night in the Gran Teatre del Liceu. 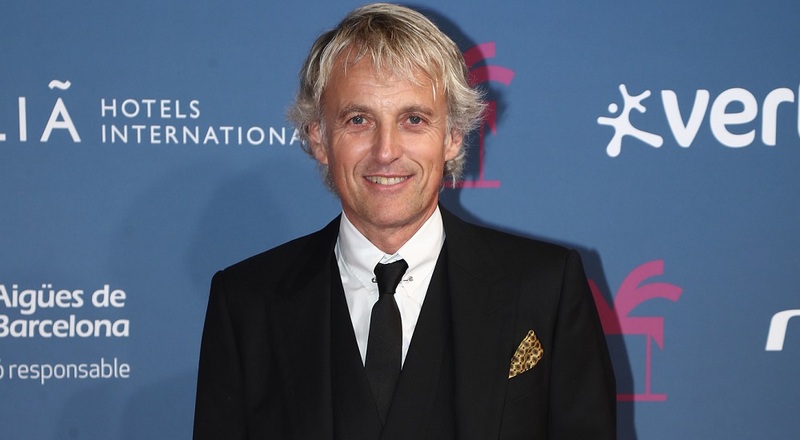 Stylish entry of presenter Juan Carlos Ortega into the Gran Teatre del Liceu. 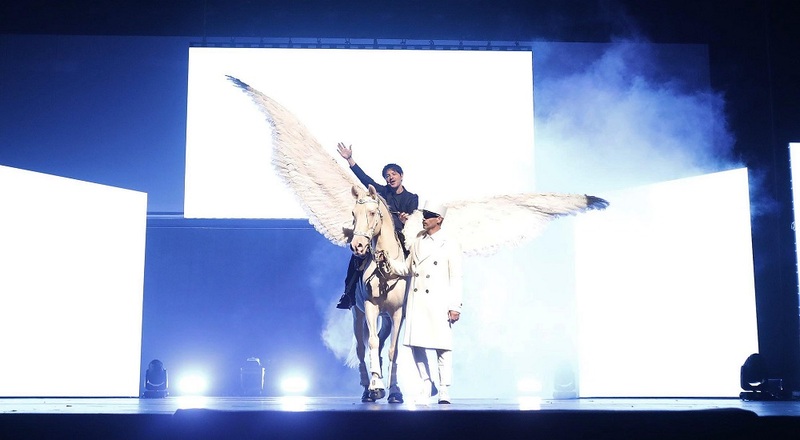 Juan Carlos Ortega and his universe of characters had the Liceu at his feet. 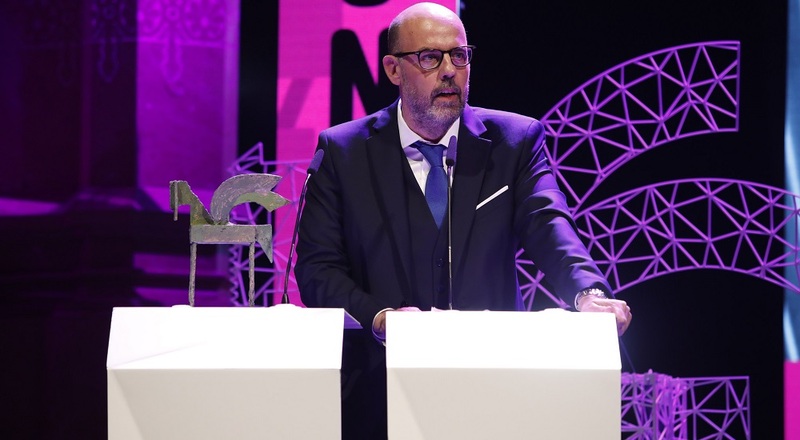 Jordi Basté, Premio Ondas for Best Radio Presenter for the morning show El món a RAC1 giving homage to the medium of radio in his acceptance speech. 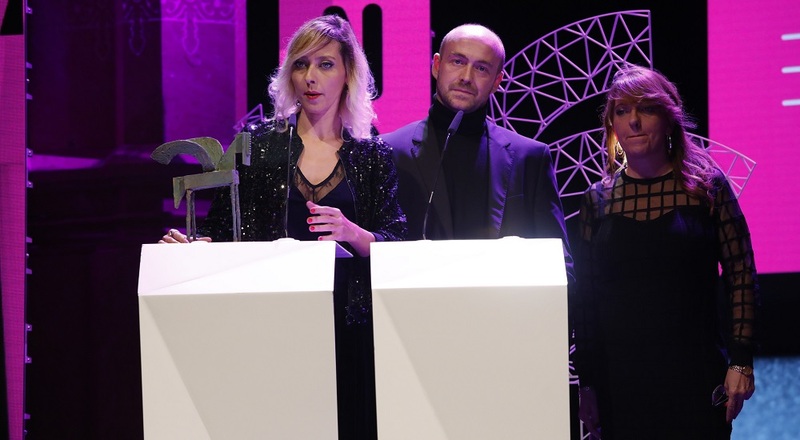 Julia Otero and Isaías Lafuente, best special program (Ex aequo). 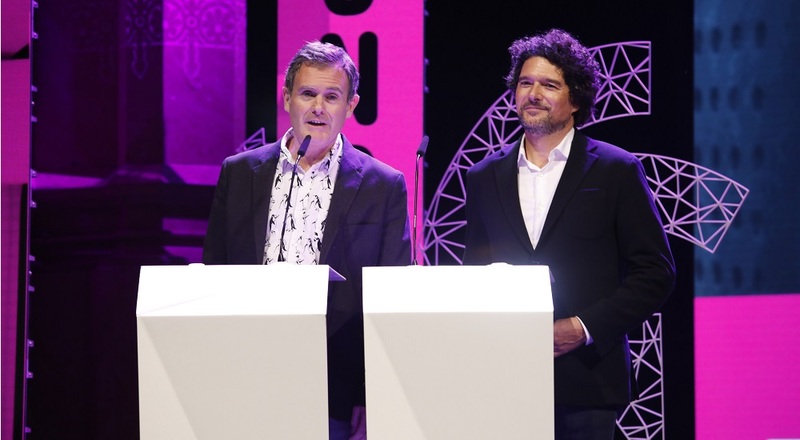 Isaías Lafuente collecting his Ondas for best special program (Ex aequo). 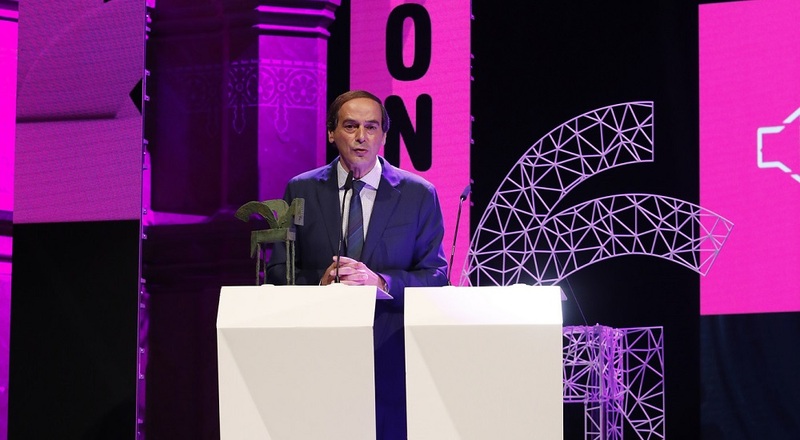 Journalists Iñaki Gabilondo and Josep Cuní also went on stage at the Gran Teatre del Liceu. 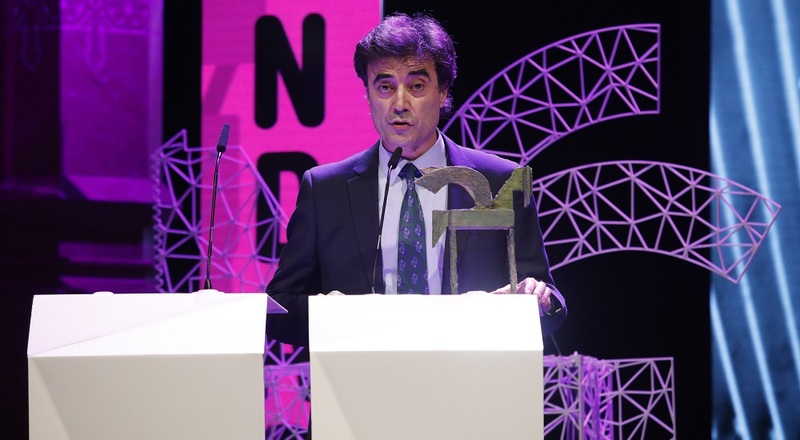 Tomás Fernando Flores recollecting his Ondas career award. 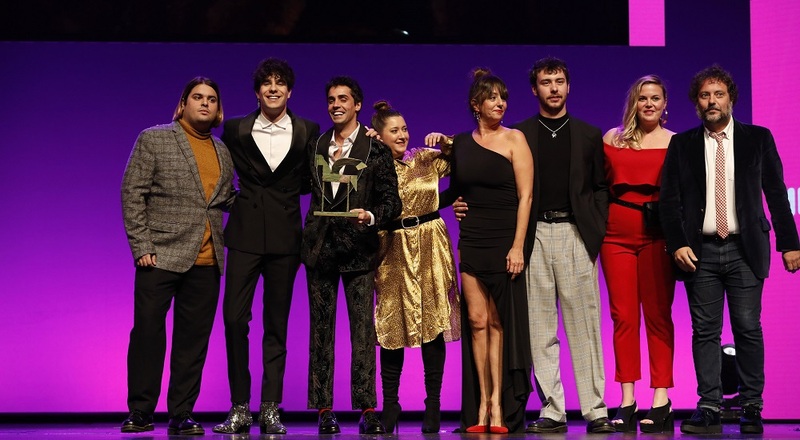 The team behind La Vida Moderna, best radio programme. 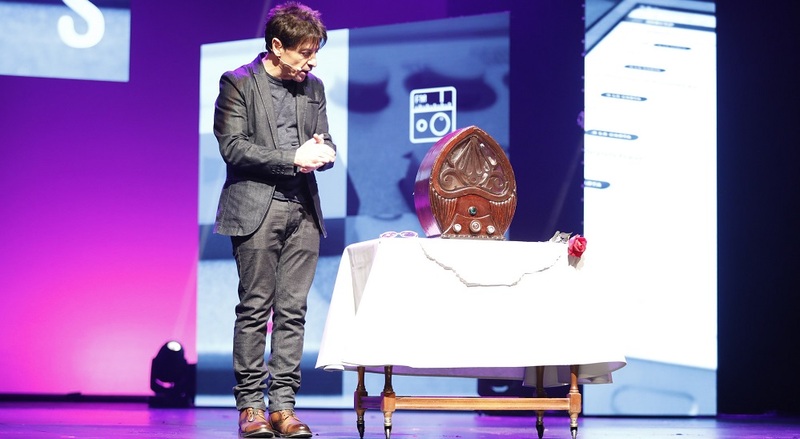 A moment of magic as Macaco and Las Migas offer tribute to Manolo García. 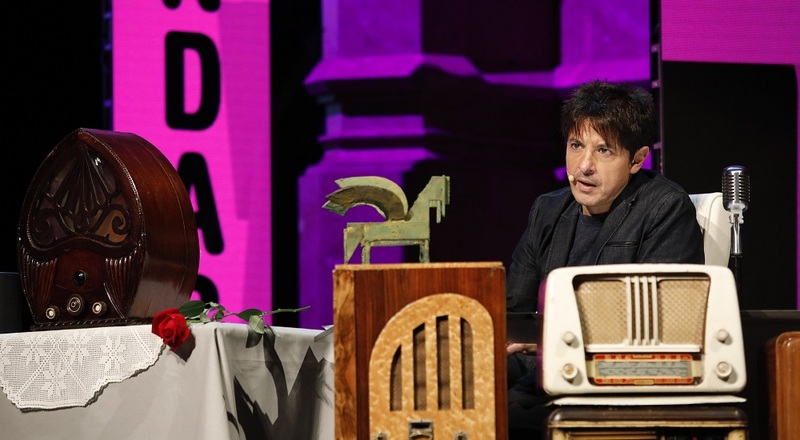 Radio was universally present on stage at the Gran Teatre del Liceu. 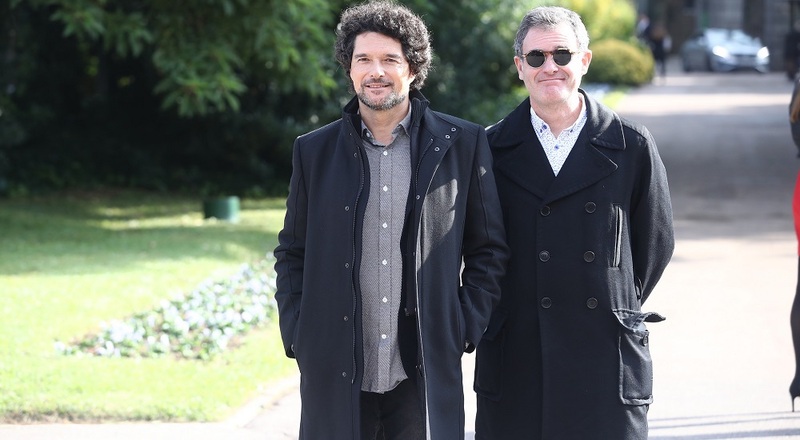 Representatives of the Operacion Triunfo team, Ondas television award and Ondas music award. 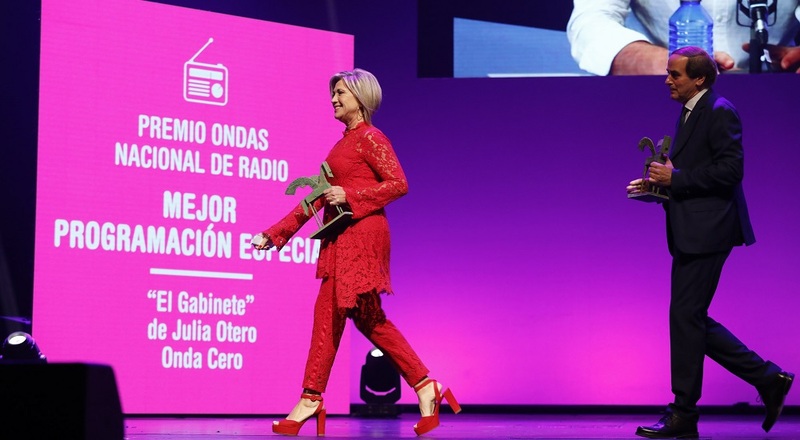 Sandra Sabatés collecting her Ondas for best female presenter. 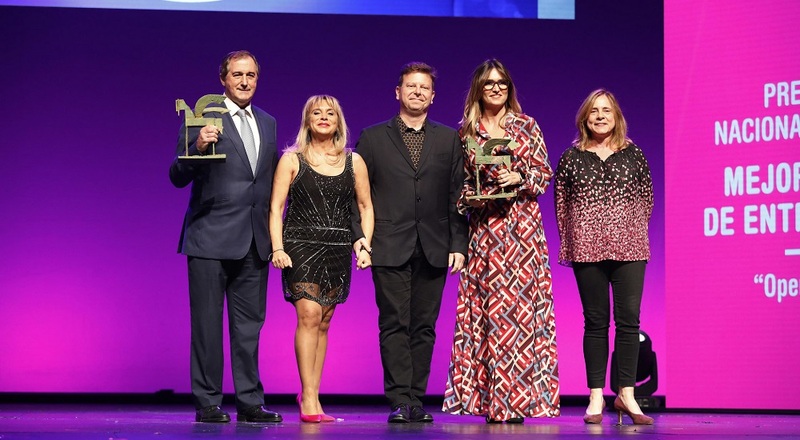 Representatives of the Radio Gaga team of Movistar +, Premio Ondas for Best Current Affairs TV Program. 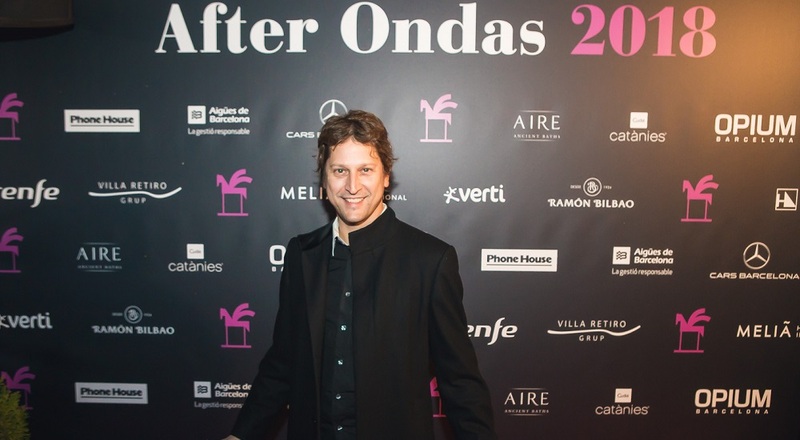 Quique Peinado (Radio Gaga) in his thank-you speech for the Ondas award Best Current Affairs TV Program. 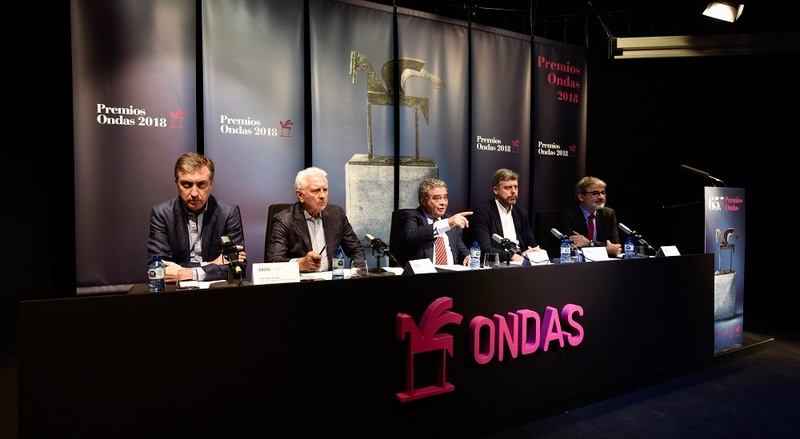 Representatives of the Els homes del silenci team, Ondas television award best programme broadcast on non-national broadcasters or channels. 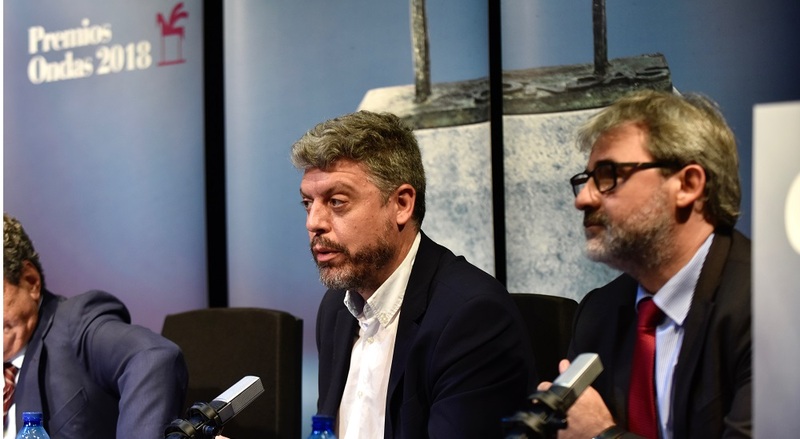 Josep Morell, Els homes del silenci. 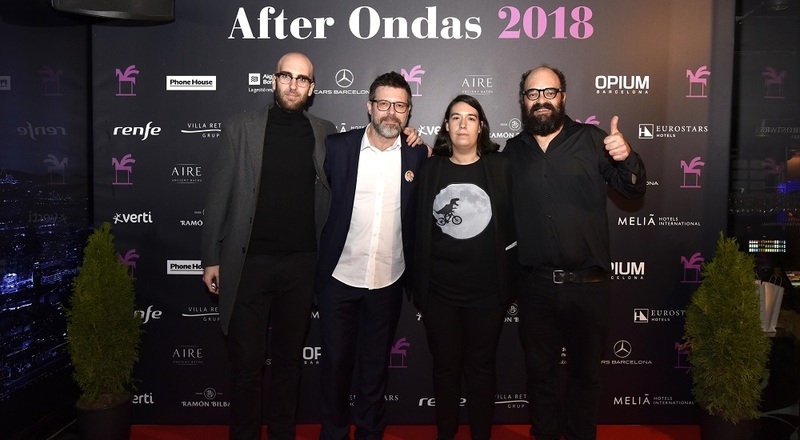 Representatives of the Paquita Salas team (Netflix), Ondas television award best digital broadcast content or platform. 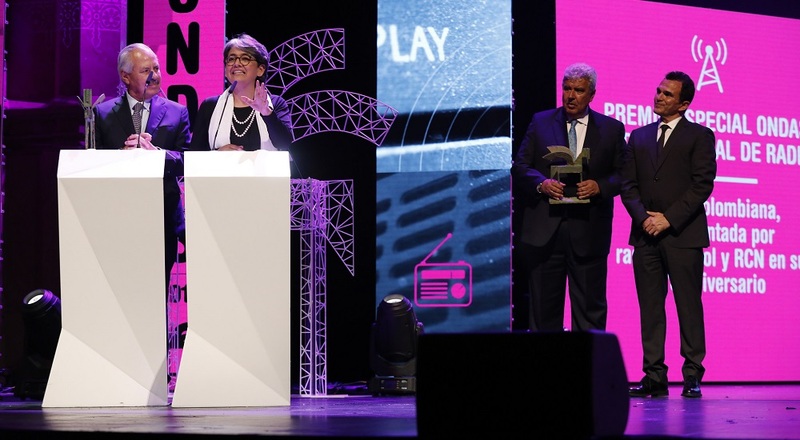 Paquita Salas (Netflix) best digital broadcast content or platform. 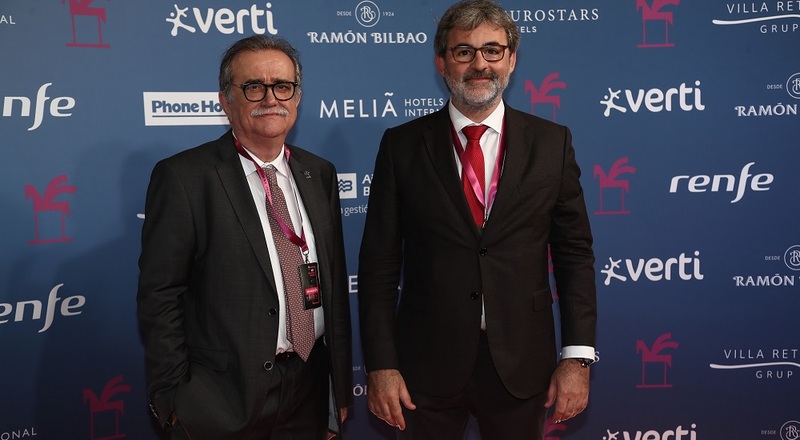 Javier Calvo and Javier Ambrossi heading up the Paquita Salas team to pick up the Ondas for best digital broadcast content or platform. 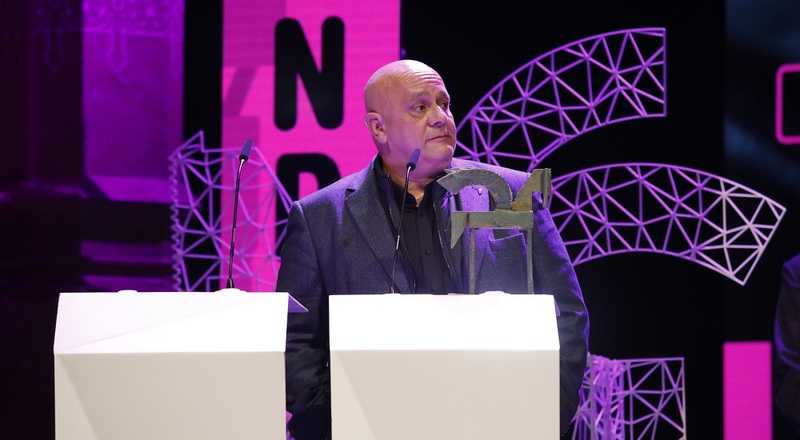 Oriol Pla holding up his Premio Ondas for Best Actor in the National Television category. 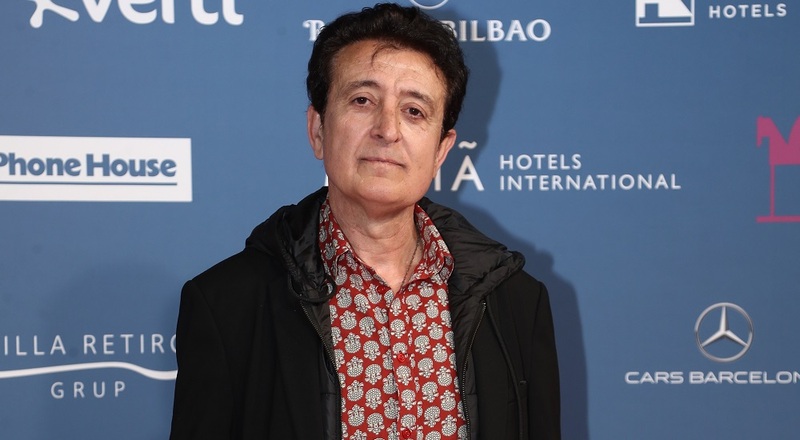 Oriol Pla, best male actor. 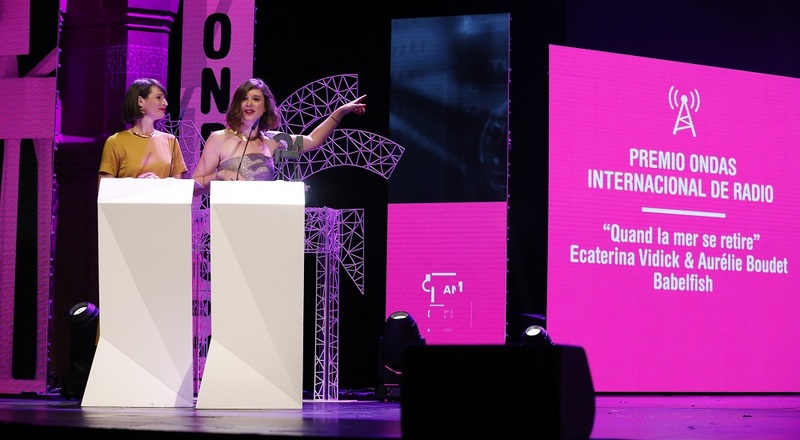 Patricia López Arnaiz, best female actor (ex aequo). 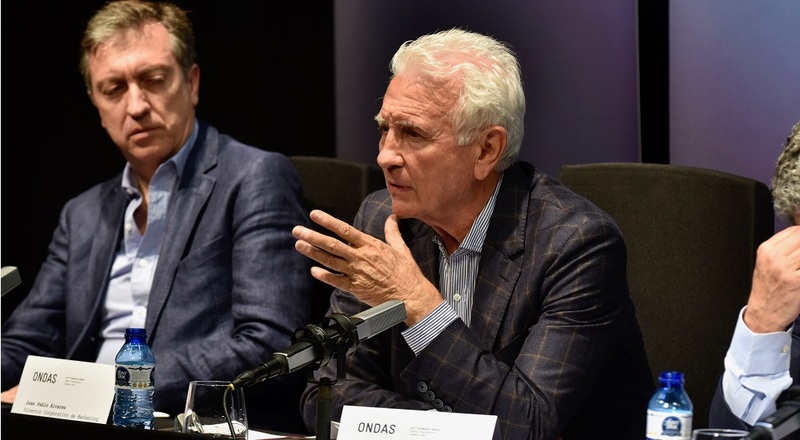 Liam O'Bryan and Conner Keane Ondas international radio award Documentary On One: In Shame, In Love, In Shame. 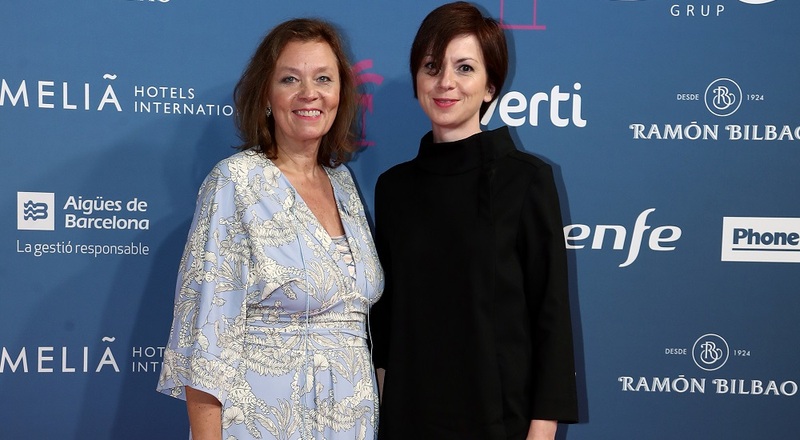 Ecaterina Vidick and Aurélie Boudet, Quand la mer se retire, Ondas international radio award. 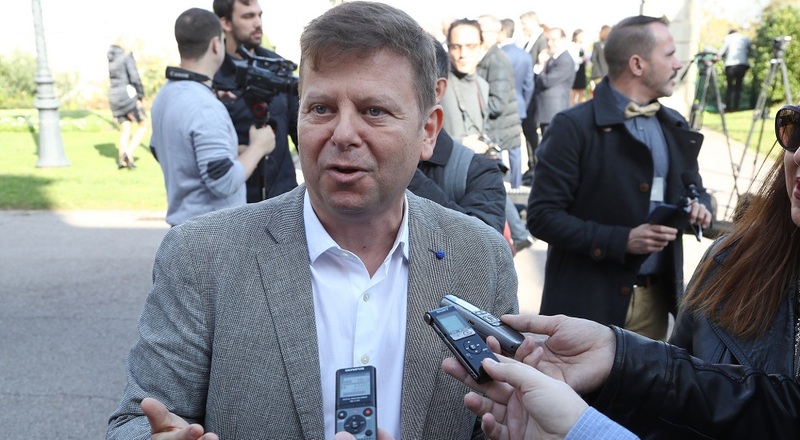 Ecaterina Vidick and Aurélie Boudet, Quand la mer se retire. 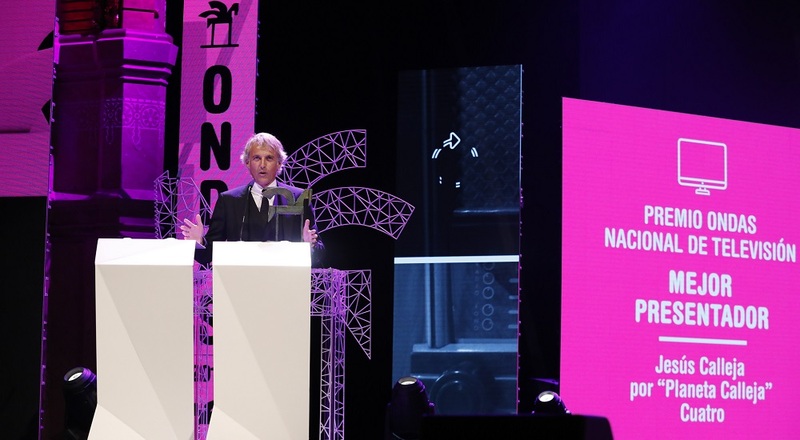 Caracol Radio and RCN, Ondas radio international special award. 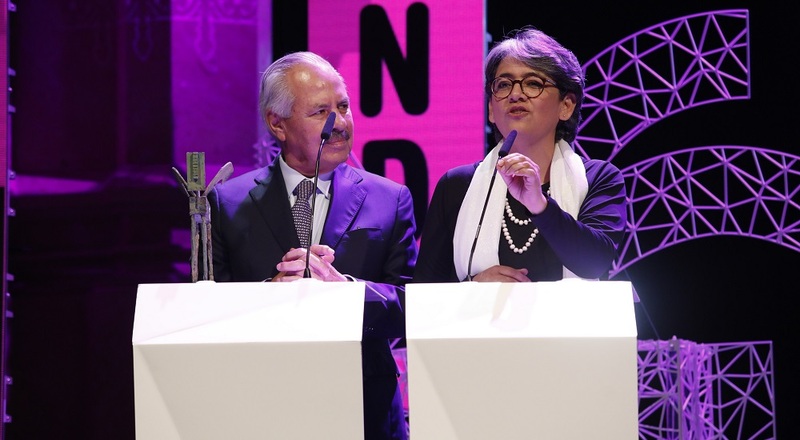 Yolanda Ruiz, RCN, and Dario Arizmendi, Caracol Radio. 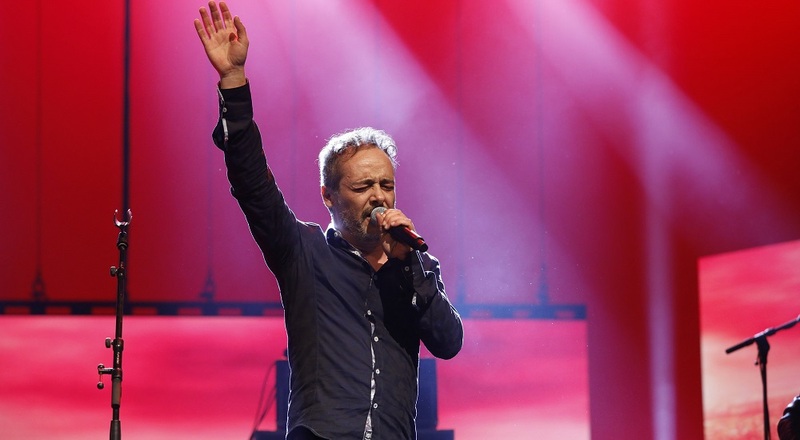 A moment of magic as Love Of Lesbian offer tribute to Manolo García. 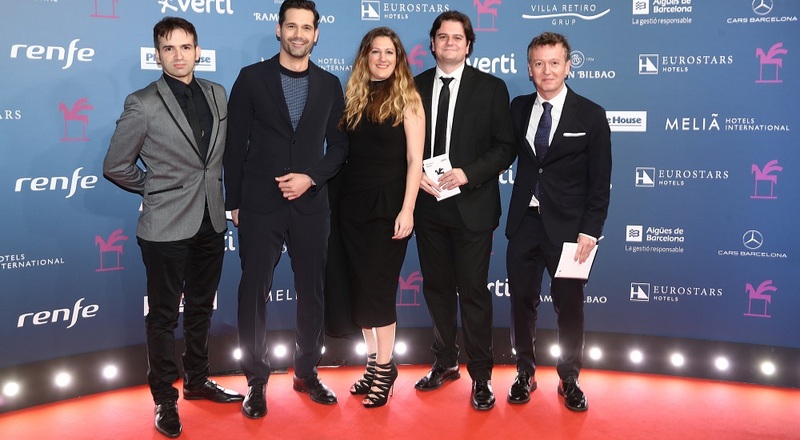 Peter Lohner and Christa Albrecht, Babylon Berlin. 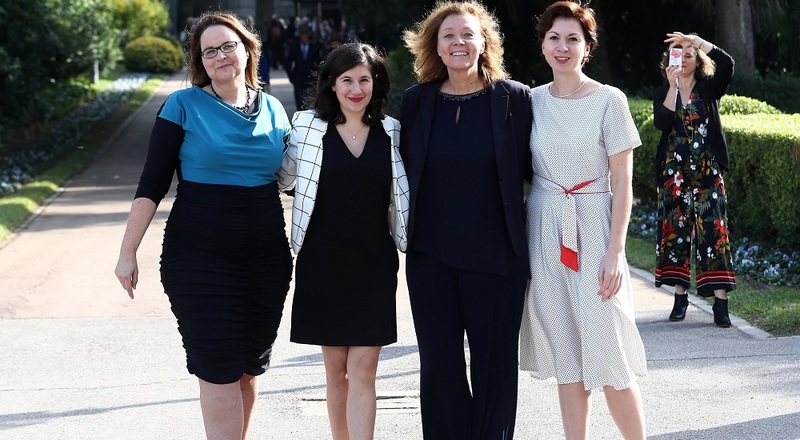 Gülseren Ölcüm and Michaela Herold, Rabiat: Türken, entscheidet Euch! 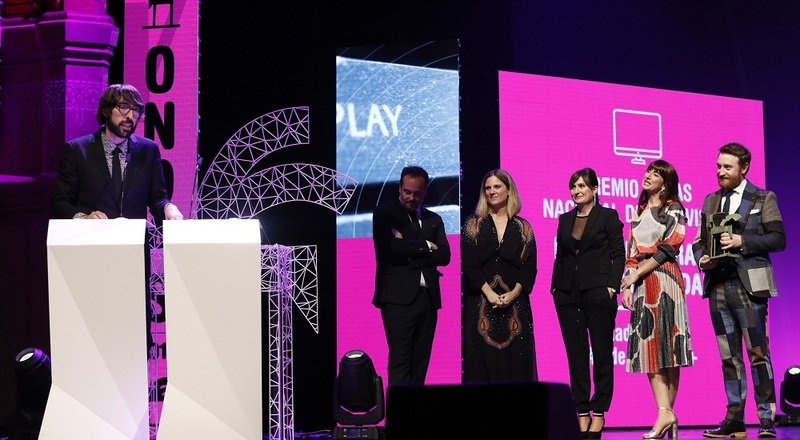 Eva Álvarez and Francisco Suárez picked up the National Music Premio Ondas for Best Musical Communication with the Red Bull Music Academy. 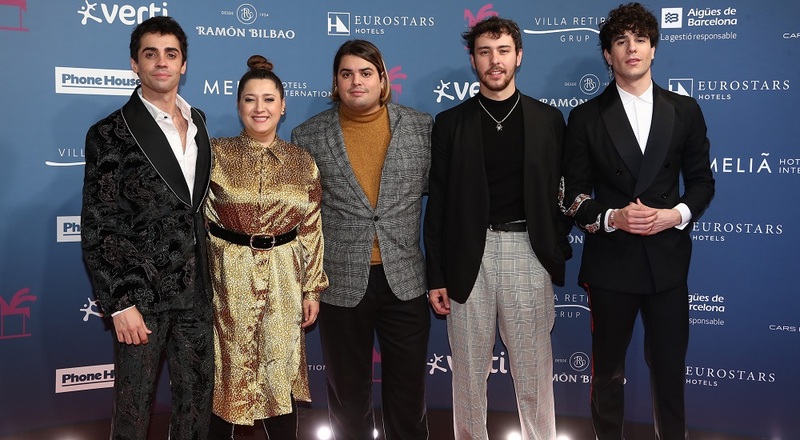 Vetusta Morla received the award for Best Live Music Performance, with Cyril Devaux, Mónica Caballero and Montse Miguel picking up the award for the group. 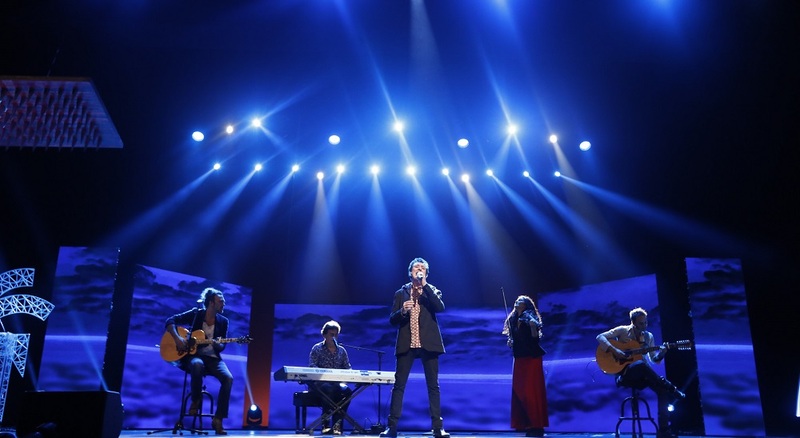 Brilliant performance by Manolo García at the gala, with his song Océano Azul. 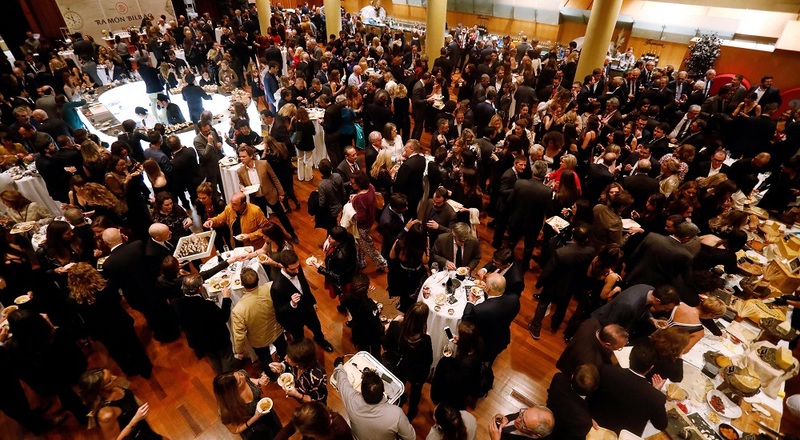 After the Gala, a celebratory cocktail was held in the Foyer Hall of the Liceu organized by Villa Retiro Grup. 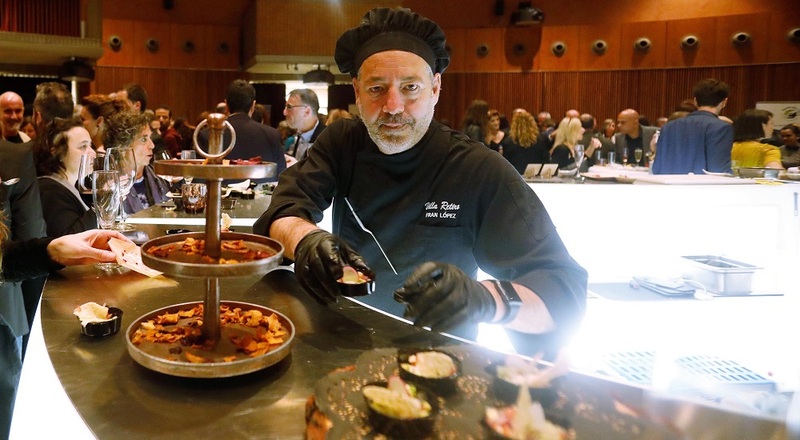 Fran López, Michelin Star chef put his expertise at the service of the guests. 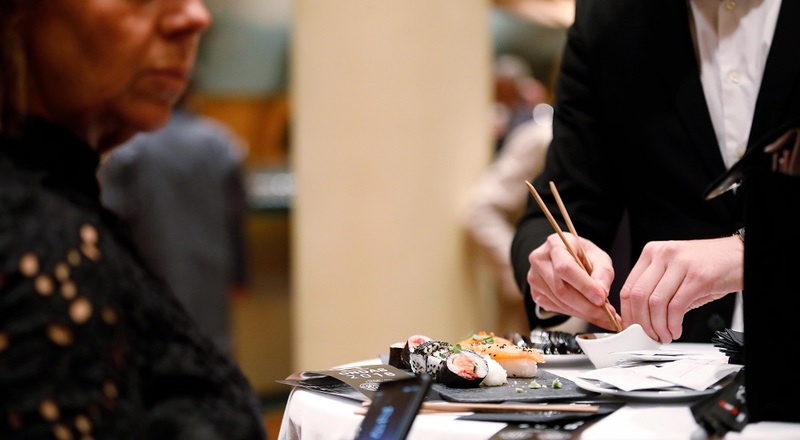 Exquisite catering provided by Villa Retiro Grup with the greatest attention to detail. 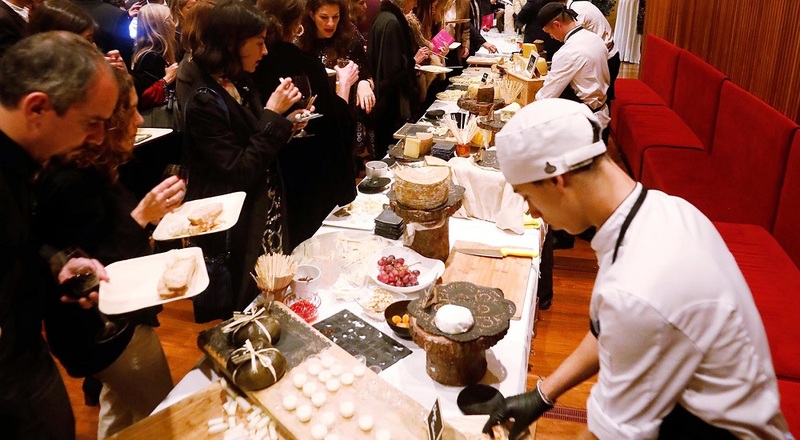 Villa Retiro Grup prepared a taste of local products along with their greatest specialties. 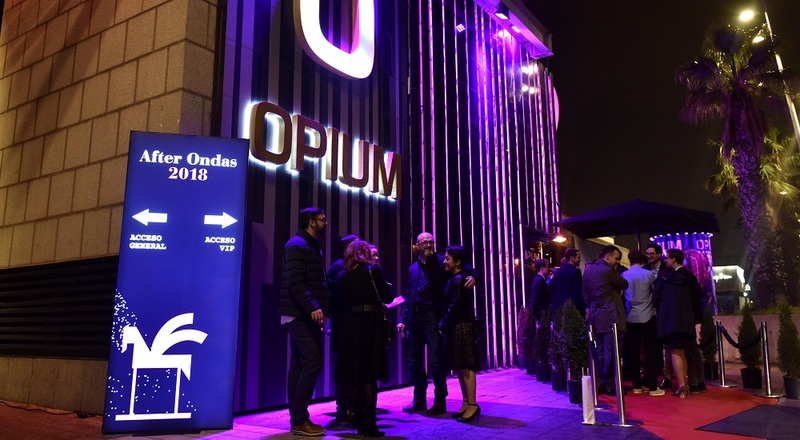 The Ondas party celebration was held in the nightclub Opium, Barcelona. 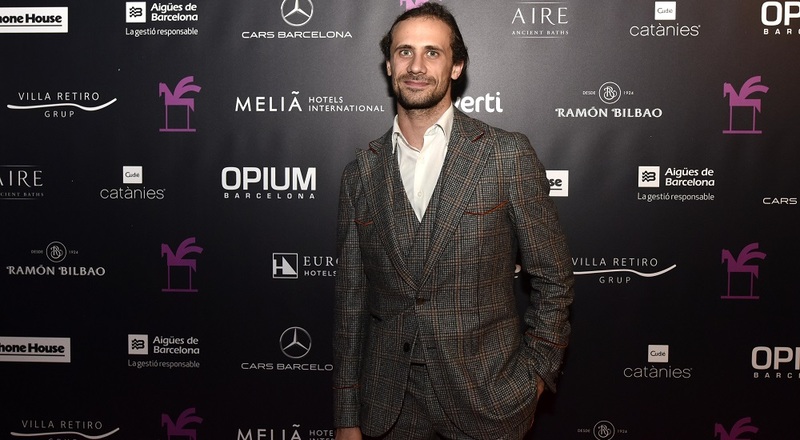 Award winning actor Oriol Pla celebrating his achievement in Opium, Barcelona. 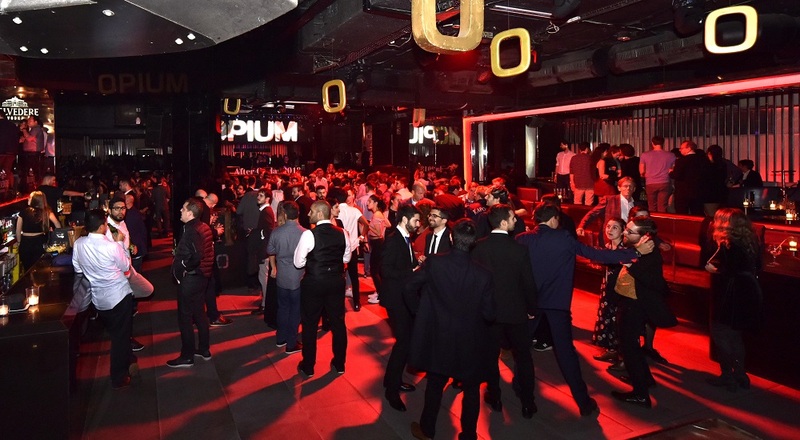 A great night for all to celebrate in Opium, Barcelona. 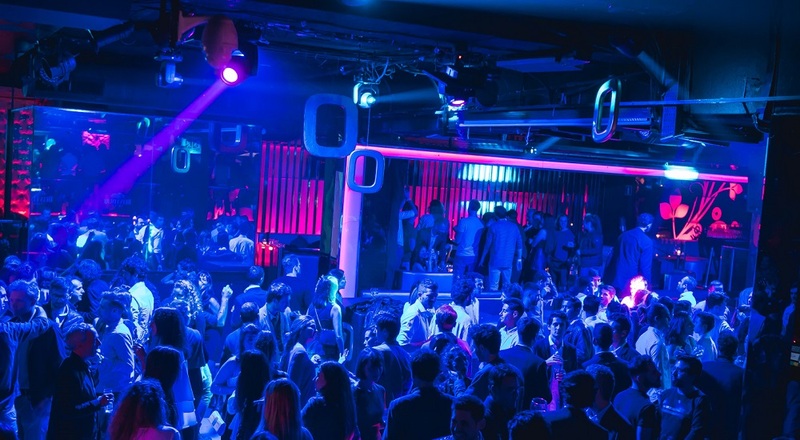 Professional basketball player Luci Pascua. 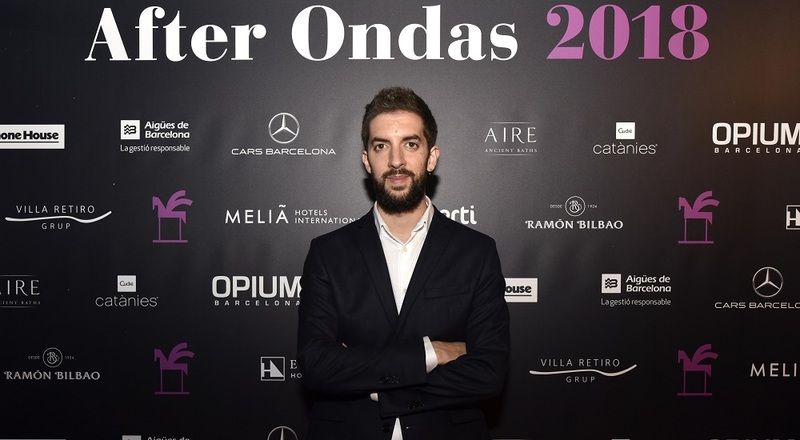 David Broncano, La Vida Moderna. 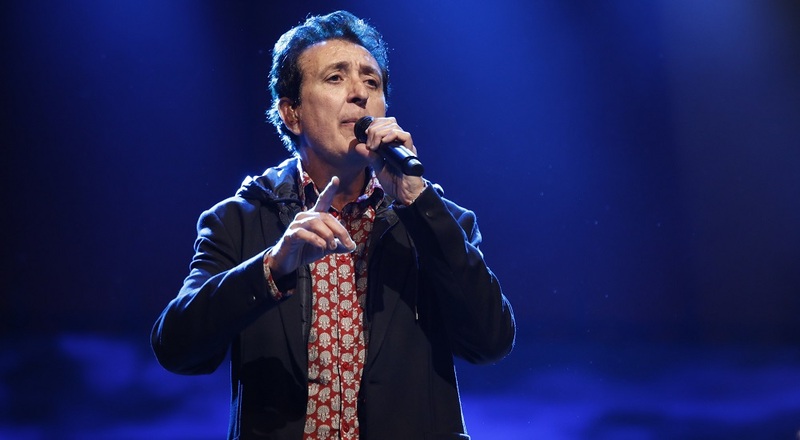 Los40 Classic music show host Bruno Sokolowicz. 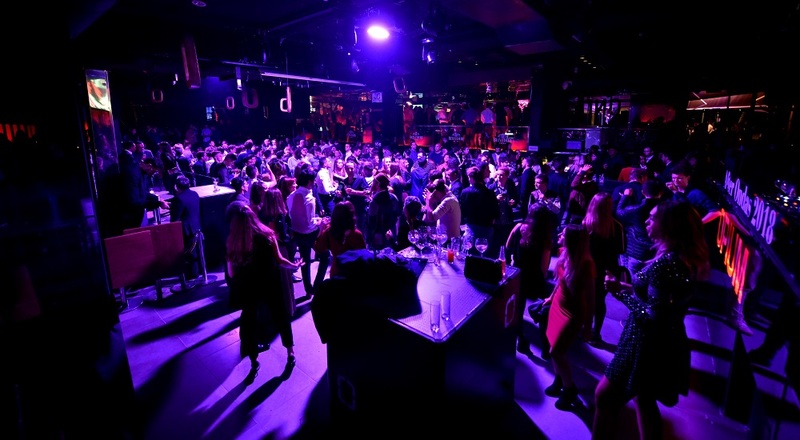 A great day rounded off by a fabulous evening in Opium Barcelona.